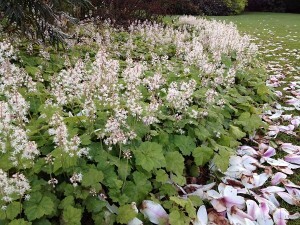 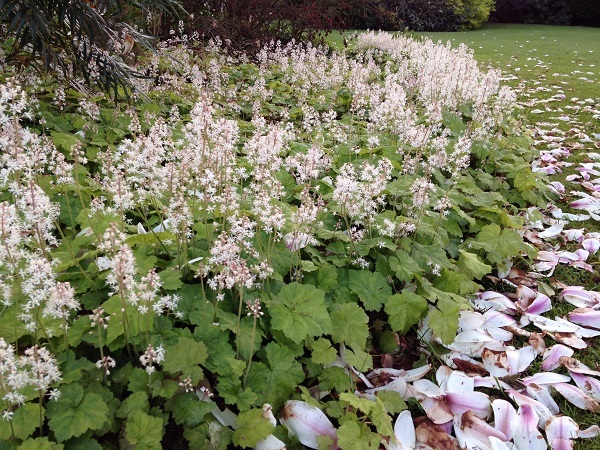 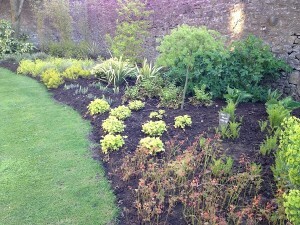 Under a lovley evening light, the fresh spring leaf colours of trees, shrubs and herbaceous shone beautifully. 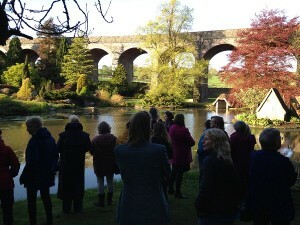 We were guided by gardeners Matt Rees Warren and Chrisi Inchley around the pond, over the bridge, under the viaduct to the new borders and finally through the giant rockery with cascading stream. The new borders are planted in an array of foliage colour rather than flower colour this ‘colourist theory’ ‘focuses on harnessing the power of colour through design’. 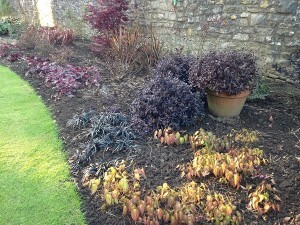 The border at one end starts with yellow foliage moving to mid green, red, purple, grey/green and finally to silver.